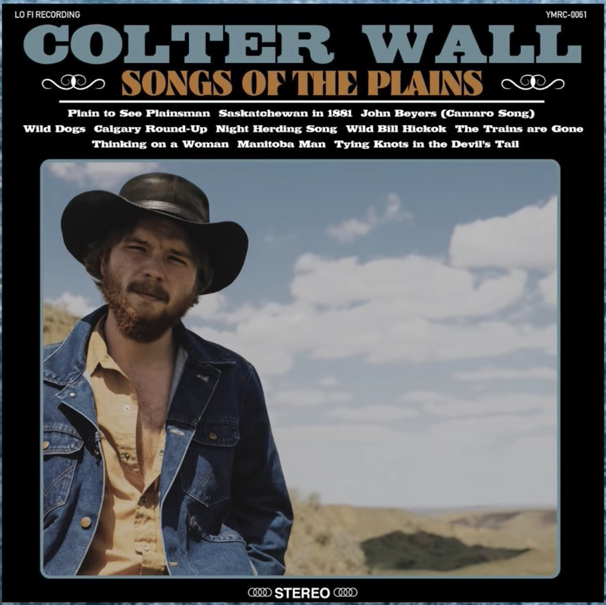 The only downside to hearing a work as stunningly perfect as Colter Wall’s eponymous 2017 debut is the dread that the proverbial sophomore slump will strike down any hopes of experiencing that satisfaction the next time around. Well if the two released cuts off WaLL’s highly-anticipated forthcoming release “Songs of the Plains’ (October 12 – Young Mary’s Record Co.) is any indication of the flavor of the remainder of the album you can put those apprehensions to rest. The timeless simple beauty of the arrangements are there transporting Wall’s deep baritone across country music’s golden years. 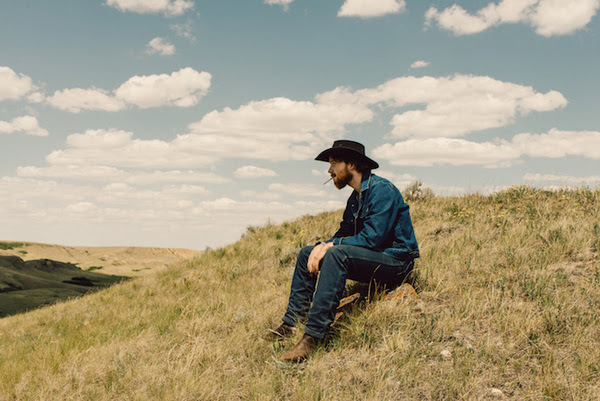 The first is ‘Plain to See Plainsman’ a delicate 4/4 strummer paying tribute to his Swift Current home in the prairies in a new-traditional style reminiscent of Marty Robbin’ “El Paso” and “Big Iron period. The song has an extra layer of beauty as Mickey Raphael’s signature harmonica wails in the distance like a midnight train. The second cut is a version of ‘Calgary Round-Up’ by real-life Alberta cowpuncher and Canadian Country Music Hall of Fame / Nashville Songwriters Hall of Fame member Wilf Carter, better known in the lower 48 as Montana Slim, 1961 release. Though much more toned-down and missing the original’s signature yodeling, you can close your eyes and still get the sense of the prairies winds coming off the plains accompanied by the cry of Lloyd Green’s pedal steel. In addition to Wall (vocals, acoustic guitar), the album also features Cobb (acoustic guitar), Lloyd Green (pedal steel), Chris Powell (drums, spoons), Jason Simpson (bass), Mickey Raphael (harmonica), Blake Berglund (vocals) and Corb Lund (vocals). Pre-order “Songs of the Plains’ here.